Drawing and Planning have successfully secured a Discharge of Conditions for condition no. 3 (Car-free) of planning permission dated 09/05/2011, ref: PA/11/00568. PROJECT Discharge of Conditions for condition no. 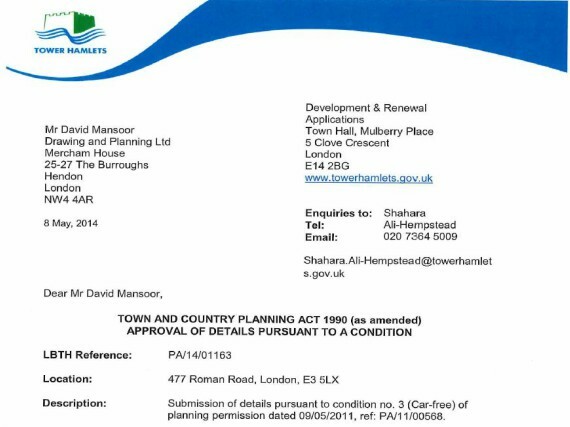 3 (Car-free) of planning permission dated 09/05/2011, ref: PA/11/00568.